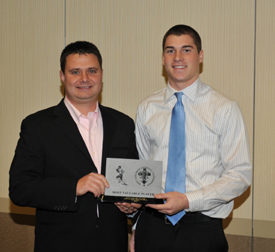 ESCC Player of the Year Julian Sipiora with St. Viator coach Chris Kirkpatrick. 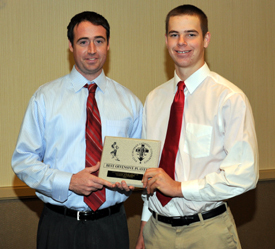 Marist coach Pat Dunne with ESCC Offensive Player of the Year Mike Perish. 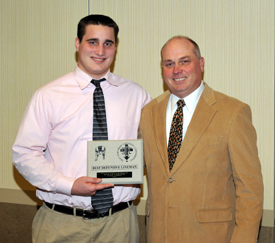 Joliet Catholic coach Dan Sharp with Offensive Lineman of the Year Dan Foreman. 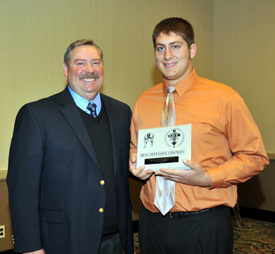 Joliet Catholic coach Dan Sharp with ESCC Defensive Player of the Year Jake Stockman. 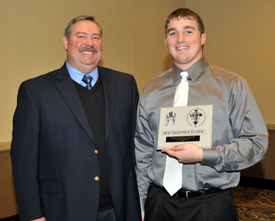 Carmel Catholic coach Andy Bitto with Defensive Lineman of the Year Steve Lester.